I am in the UK and am building a couple of American custom cars, but.....this is not about me!! My mechanic friend Terry who has a workshop very close to mine is putting together a 1975 corvette from a shed full of parts! Everything dismantled, including the body off the frame and then been stored for 10 years. 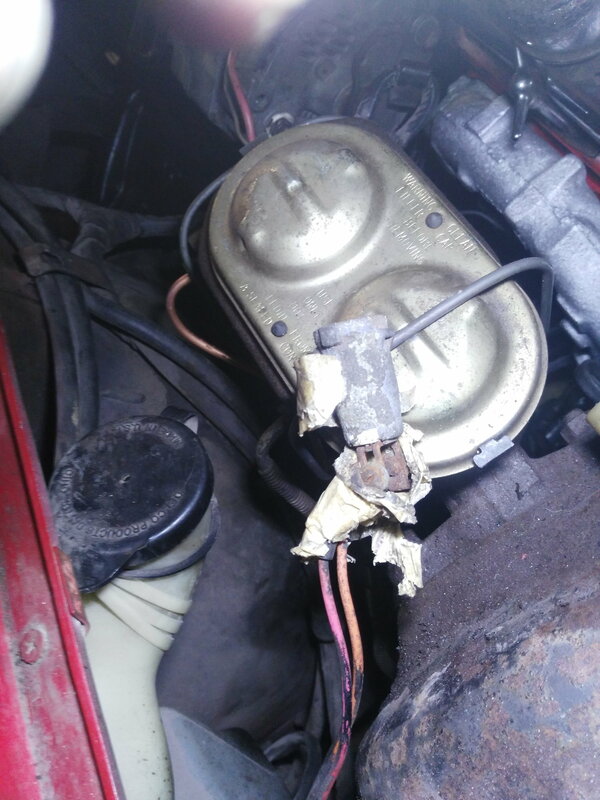 He has made an amazing job by putting it back together in 4 months, but we cannot find the purple wire that goes to the starter solenoid at all! According to our wiring diagrams there should be one that pops out of the firewall and heads off over to the starter. But we cant see anything like it at all. Can anyone shed any light on what we should be looking for? Oh, this is something we have also found that appears to go nowhere, which may or may not have something to do with the starter problem! One of the wires is hot with key in run. Welcome to the forum. One solution is to get a copy of the factory service manual. You could also visit some of the Corvette aftermarket suppliers such as Paragon, Wilcox, and Zip products. I believe that these and probably others can sell you a wiring diagram specifically for your model year.